The voice of trafficked women throughout Australia will continue to be heard with the official opening of a new anti-trafficking service in Perth yesterday. 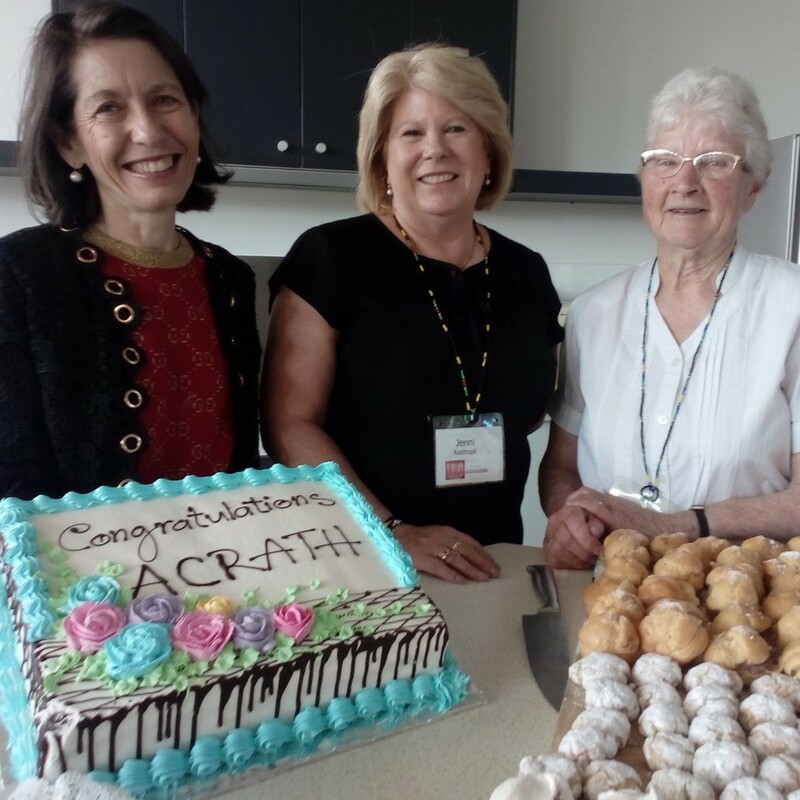 The Archdiocese of Perth has stepped in to provide an office for ACRATH (Australian Catholic Religious Against Trafficking in Humans) after the organisation lost its $125,000 in Commonwealth funding in June this year. ACRATH was formed in 2005 in response to a United Nations focus on women and was instrumental in collecting evidence and advocating for new anti-slavery legislation adopted by the Australian Parliament this year. Since losing federal funding, ACRATH launched a national funding appeal and has been overwhelmed by the support – receiving enough funding to continue operations for another year with the office run by volunteers, according to ACRATH national executive officer Christine Carolan. “Whilst we are encouraged by the strong support we have received so far, to keep the service alive and to continue to expand across Australia and to be sustainable, we will need ongoing support,” Ms Carolan said. She said the Perth volunteers were some of the early pioneers of the anti-trafficking movement in Western Australia, helping to set up the WA Freedom Network, which looks at human trafficking issues. Kathy Fagan, ACRATH’s regional coordinator for Western Australia, has developed strong international networks over the years that are called on when a trafficked woman is being repatriated. Network members help the woman to reintegrate back into her community or support her to rebuild her life when she cannot return to her community or family. Ms Fagan worked with trafficked women and children in Asia, particularly in Thailand and Cambodia, and began volunteering with ACRATH when she returned to Australia. “Before I left, I asked the women in Thailand and Cambodia what they needed. They said, ‘never forget us and tell people what is happening to us’,” she said. ACRATH’s anti-trafficking work has also benefited from the keen support of people in Western Australia. Earlier this year a fundraiser dinner at Seton Catholic College attracted 130 guests. It was also a chance to raise awareness of modern-day slavery in Australia. For information contact Christine Carolan on 0427 302 755 or Kathy Fagan on 0401 843 920. This entry was posted in Uncategorized on October 30, 2018 by ACBC Communications.